Catherine is a proponent for responsible stewardship of our natural resources and covers topics of plant life and sustainable living. My cat loves smelling my face when I lean in to nuzzle her and give her a kiss. I know it's the natural peppermint essence in my Burt's Bee's lip balm! It may be a great olfactory stimulation for her, but it's even better as a refreshing soother for my chapped lips. The peppermint oil in this lip balm is so invigorating that it has spurred a thing called "beezin," where teens apply it to the eyelids for a natural high. 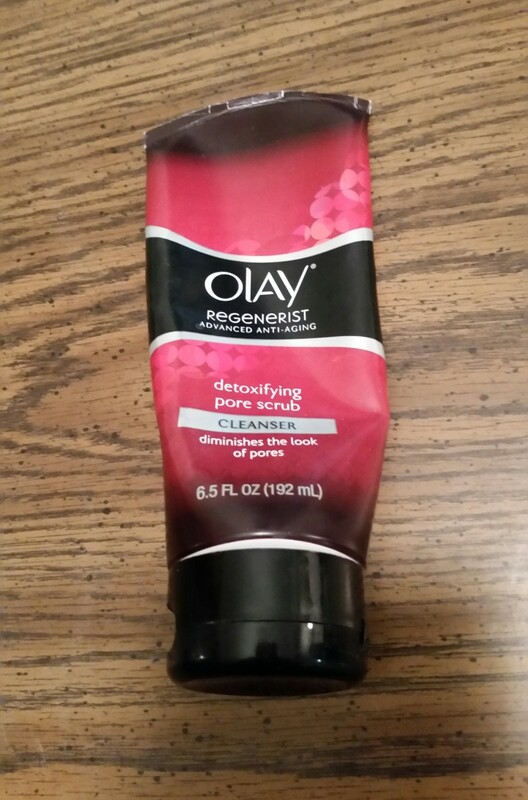 This is not a good idea, as this could cause serious eye infection or inflammation! Burt professed that lip balm is for lips and preferred to see it used that way! There is no denying, though, that these essences are the real thing. The original beeswax balm with peppermint is the best for long-lasting protection against chapped lips, but there is also a wide range of moisturizing formulas. Pomegranate, pink grapefruit, eucalyptus, mango, acai berry, vanilla, wild cherry, and even blueberry/dark chocolate are each wonderfully soothing and delicious! All Natural. No Animal Testing. Burt's Bees makes skincare formulas, lip balms, and other beauty products from ingredients found in nature: beeswax, botanical extracts, herbs, and minerals. There is nothing artificial added. 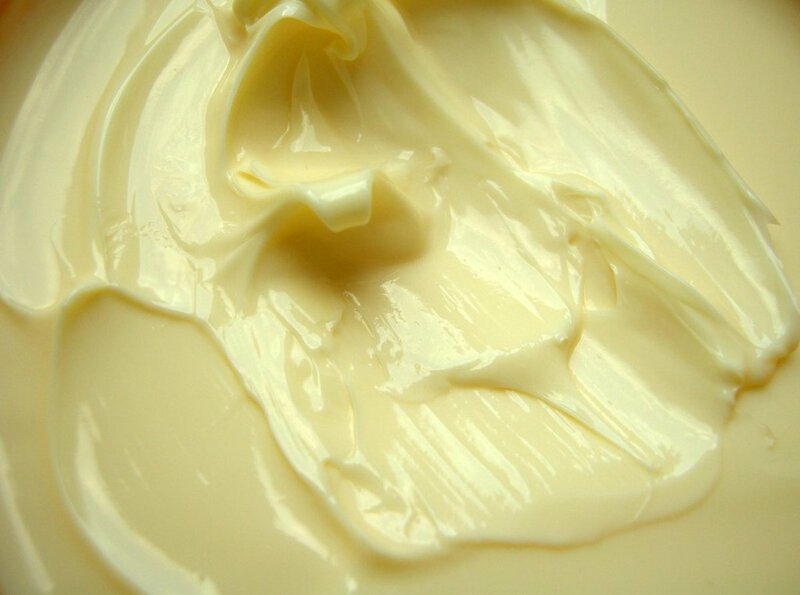 Burt's Bees uses a few animal by-products like milk, beeswax, and royal jelly- that's all. No animals are harmed, and none are used for testing of any kind. There are also no petroleum products, no rendered animal fats, nor harsh chemicals used. Burt's Bees produces the most affordable earth-friendly products available on the market today, and they can be easily spotted in attractive golden-yellow displays with minimal packaging. Look for them in grocery, health food and drug stores, retailers like Target and Walmart, and quality sporting goods stores and gift shops. All packaging is both recycled and recyclable. Even the lip-balm tubes are made of recycled plastic! Packaging is thoughtfully designed to hold just enough product for the average consumer to use before the expiration date. This helps control waste by keeping unused product from the landfills. All packaging is comprised of at least 50% post-consumer content, and most carry the Natural Seal which was developed in 2008. To meet this standard, the product must be 99% natural. My introduction to Burt's Bees came in the way of a travel bag full of trial-sized balms, creams, and lotions. I now regularly refill this bag and tuck it in with my gym paraphernalia. I highly recommend it as a thoughtful gift for those who will be on the road or away from home. My personal favorites are the replenishing body lotion, lemon cuticle cream, and the tinted lip shimmer. The cupuacu and cocoa butters in the moisturizer work for 24 hours and make a rich and creamy, yet non-greasy, lotion with the pleasant scent of mild chocolate, coconut and pineapple. Loaded with anti-oxidants, cupuaca is a tropical fruit related to cacao that comes from the Amazon rain forest. The lemon cuticle, applied before bed, keeps finger tips soft and keeps away annoying hangnails. The lip shimmers provide just the right touch of subtle color and shine. They condition my lips much like the traditional lip balms but go a step further by complementing the natural rosy glow of my cheeks unlike the painted look of creamed lipstick and lip-liner. A travel sampler is a thoughtful and practical gift. 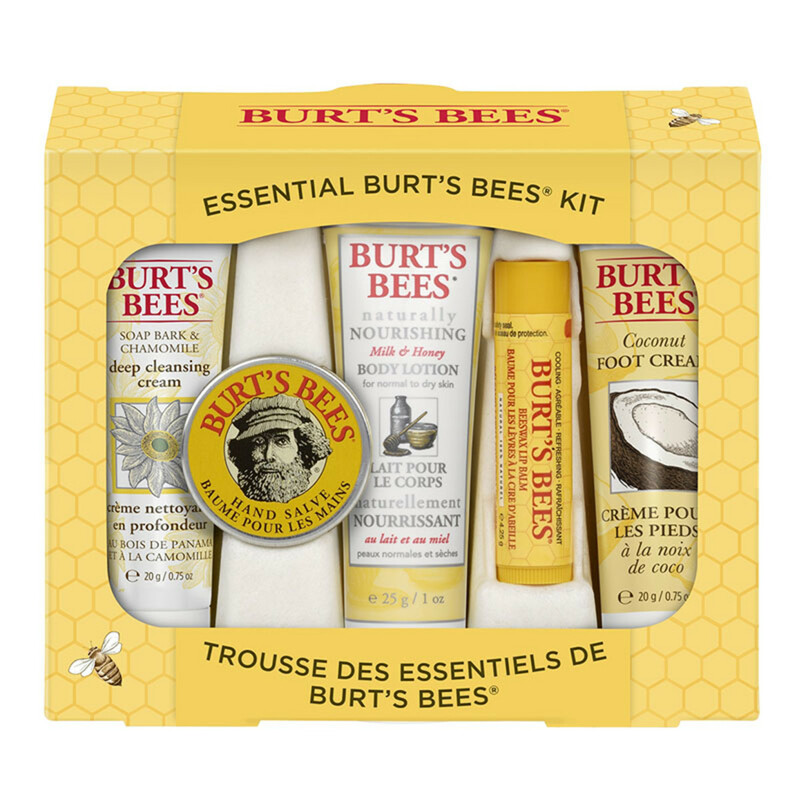 Burt's Bees' line of products for outdoor enthusiasts come in serene green packaging and include bug repellent and soothers for sunburn, poison ivy, bug bites, muscle aches, and bruises. I recommend the small tin of Dr. Burt's Res-Q Ointment. 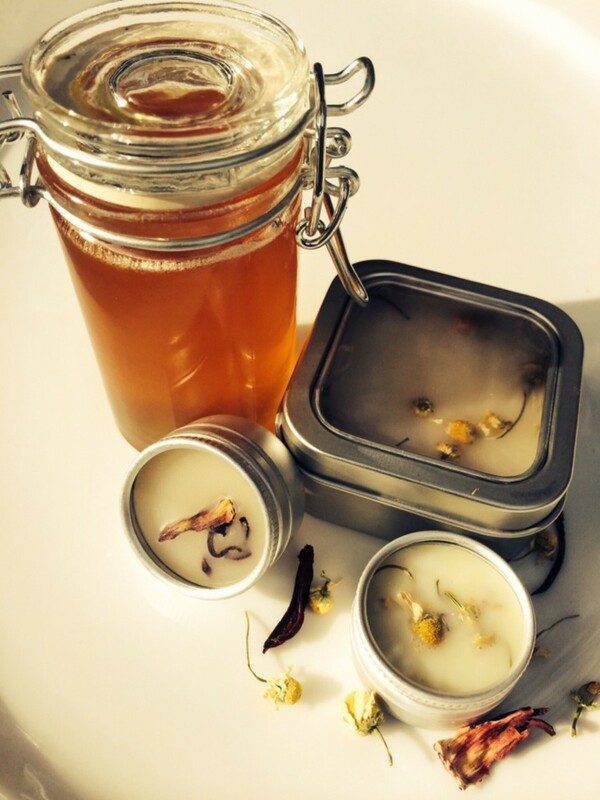 This healing salve derived from comfrey is a must-have for any first-aid kit! As the company continues to expand to meet the needs of the whole family, new products are continually being introduced. Natural honey throat lozenges and toiletries for men in handsome black packaging include soap, shaving cream, body wash, and deodorant. Baby-Bee and Mama-Bee products offer safe and natural solutions for sensitive skin, diaper rash, and stretch marks. Burt's Bees also has added a line of organic pima cotton baby clothes, cloths, bibs, and receiving blankets which can be monogrammed. These new offerings and gift sets are perfect for baby showers and Father's Day. Oral care products include both fresh mint and whitening toothpastes with or without fluoride, a kid's fruit fusion paste, and an activated charcoal whitening powder. All are naturally sweetened w/ stevia and are free of artificial ingredients. The tubes, which don't yet qualify for residential recycling programs, can easily be returned to Burt's Bees for sustainable reuse. Pet wellness is also of concern to Burt's Bees, and they have developed natural shampoos and soothing skin care products as well as a moisturizing paw and nose butter for dogs. What was started in Maine in 1984 by Burt Shavitz and Roxanne Quimby as a honey- producing company, selling from the back of a pick-up truck, soon became known for its beeswax candles. 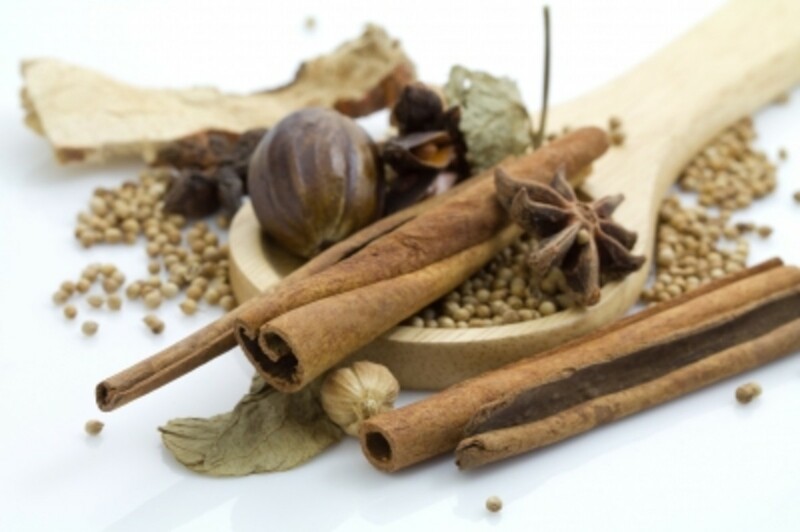 The fine quality of craftsmanship then led to the production of soaps, lip-balms, and more. Ten years later, Burt's Bees out grew its facility and moved to North Carolina where it continued to gain exposure through retailers like Whole Foods and Cracker Barrel. In 1999, Ms. Quimby bought Burt's business share for $130,000, the amount of a house on his beloved land in Maine. In 2004, she sold 80% interest in the company to a private equity firm for 141 million while retaining 20% and title of CEO. When Shavitz voiced his displeasure, Quimby forked over another 4 million, just a fraction of the 59 million he would have gotten had he not settled for the house! After a few consecutive leadership changes which groomed the company for a takeover, Clorox bought Burt's Bees in November 2013 for a whopping 913 million! While Roxanne received 20% of the sale, Burt got nothing. Known for his dislike of corporate greed and materialism, Shavitz claimed to be content on his land, watching nature, and living simply. He tells his story and shares his views of the sellout in a documentary by Jody Shapiro called Burt's Buzz. Burt Shavitz died at age 80 on July 5, 2015. Although Burt Shavitz and Roxanne Quimby broke up their partnership, each having had distinctly different views and life goals, the company's new corporate team vows to uphold its founder's tenets of sustainability. Burt's bearded face remains the company's logo, and his estate will get regular royalty payments for the use of his image on all products. Not only has Burt's Bees remained here in the U.S., the company has continued to maintain a responsible approach to the environment. In addition to choosing only naturally-derived ingredients and recycled packaging, Burt and Roxanne began the practice of using company profits to buy forest land in Maine for the Nature Conservancy. They also reached out to the community through public service announcements to educate others about Colony Collapse Disorder and the importance of bees to agri-business, the economy, and our backyard gardens. Impressive! Few businesses really operate with a genuine social consciousness and care for our planet. In 2007, Burt's Bees formed the Greater Good Foundation which supports many kinds of community and environmental projects. Here is a link to their website: http://www.burtsbees.com/Community-Partnerships/sustain-community,default,pg.html. It gives a broader overview of the company's philanthropy. There are long-time consumers who feel that Clorox has taken liberties with the original formulations and ruined the quality of Burt's Bees products. The acquisition by Clorox, however, has actually proven to be a good thing. For Burt's Bees, it has allowed more funds for research and development- an increase of 50%.The access to greater technology and expertise has brought about improvements in the consistency and moisturizing capabilities of Burt's Bees lotions without compromising the natural ingredients. For Clorox, the merger has brought improvements to waste management and sustainability practices. Although a slow process, Clorox has upped these improvements to its overall product portfolio by 35% and stays committed to the goal. I don't need my discriminating cat to sniff out a winner like Burt's Bees although her endorsement just helps me plead my case. There are over 100 products now in production including shampoo and body wash. I recommend the lemon cuticle cream, the peppermint foot rub, and many others. I can assure you of the fine quality, the lovely and true fragrance of the botanical oils, the smart packaging, and the impeccable social and environmental stewardship of Burt's Bees. Oh, did I mention that it's affordable too? Take the time to indulge yourself and feel pretty with nature's best ingredients and don't forget to recycle the containers- yet, again! Oh, that's it . . . a documentary! Nice redo. Thank you, Jill! Glad you enjoyed learning about their impressive sustainability record. I appreciate the head's up on the company's changes. I did a revamp to bring my hub up-to-date. Please let me know what you think. I love Burt's Bees products, too. Before reading this, I hadn't realized just how earth-friendly Burt's was! Read about Shavitz just the other day. Apparently, he was ousted from the company by his partner. Someone is writing (or perhaps it's already written) a book about him. Interesting read! Voted up & shared. Thank you, MonisMas! I'm glad you enjoyed this :) I can't get through a day w/o my Burt's Bees lip balm. I love Burt's Bees products. Great hub! Hello MoniMas- So glad to find a fellow fan! Thanks so much for stopping by to read and comment. 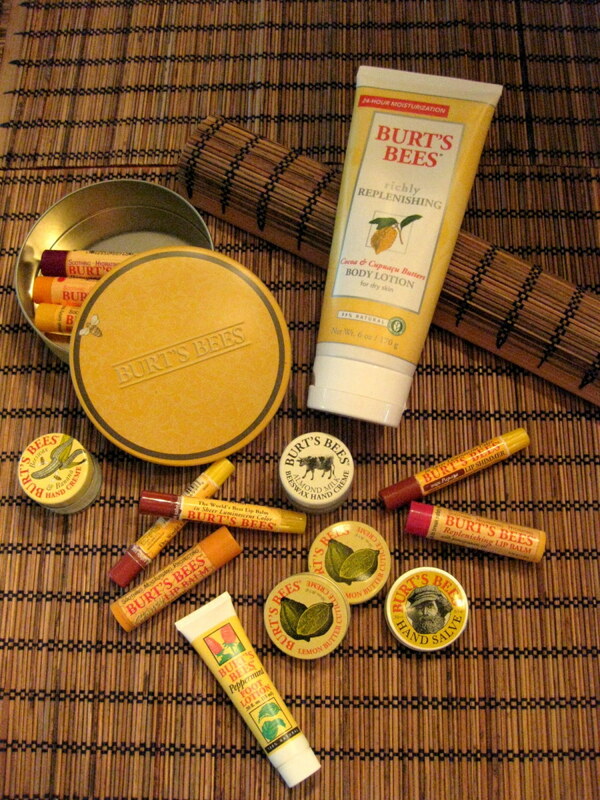 I enjoy Burt's Bees products as well, and I have the peppermint lip balm. It's so refreshing. 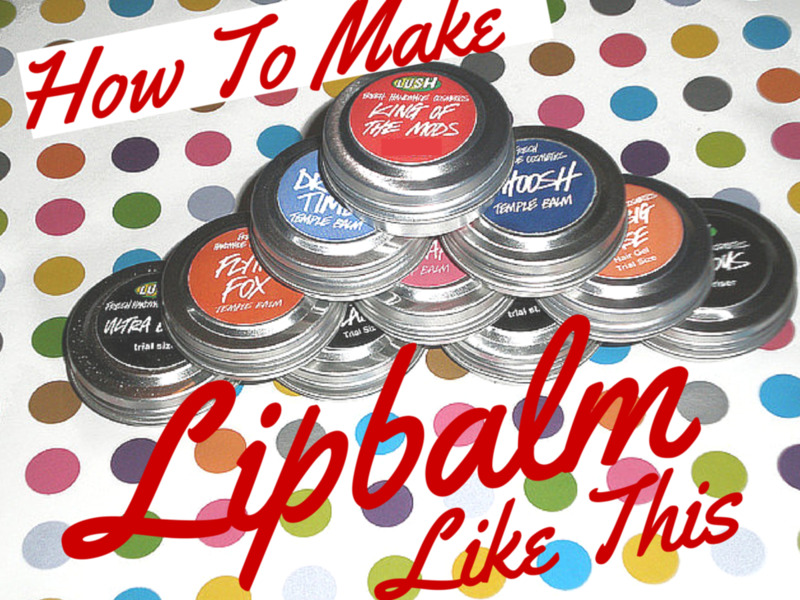 I actually love to put it on my lips, when I am congested, it helps out! Great hub! Hi Diane! You're welcome. Thank you for dropping by and commenting. This is very interesting. Thank you for telling us about this product. My company is the exporter with a customer in China. I agree with your added comment. I am impressed with the ethics of Burt's Bees and love to see the continuing success of a cottage industry. Glad to hear that they are exporting their products to China for a change! I really appreciate your stopping by and leaving your thoughtful comment. Thank you! Good commercial line of products for which we have a customer in China. Can you believe it, Americans exporting to China!? Quality counts. Good Hub.